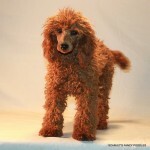 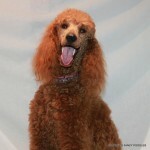 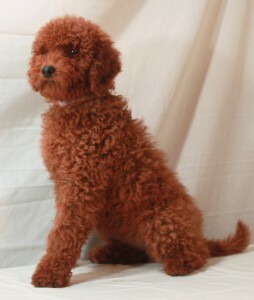 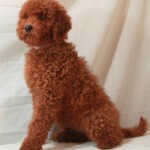 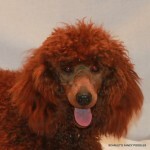 RED is the newest color developed and by far the most rare of colors in the Poodle breed. 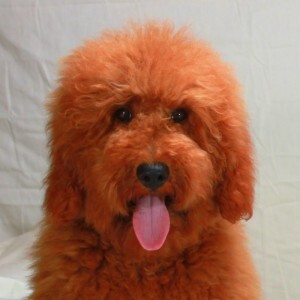 This color has only been developed for about 35 years. Most people have never seen a truly Red poodle before. Talk about rare — Red Moyen Poodles are even more rare. 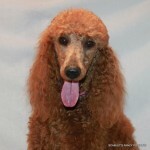 Moyens or Klein Pudels as they are called in Europe are the newest color and size in the Poodle world. 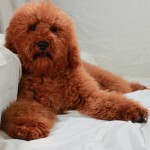 They are not yet a recognized size in the United States. 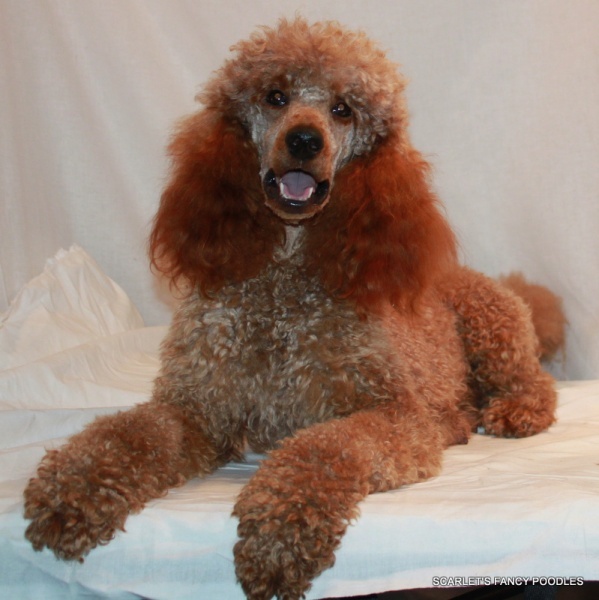 The few Moyen size breeding stock here in the US has been imported from Russia, Finland and Germany. 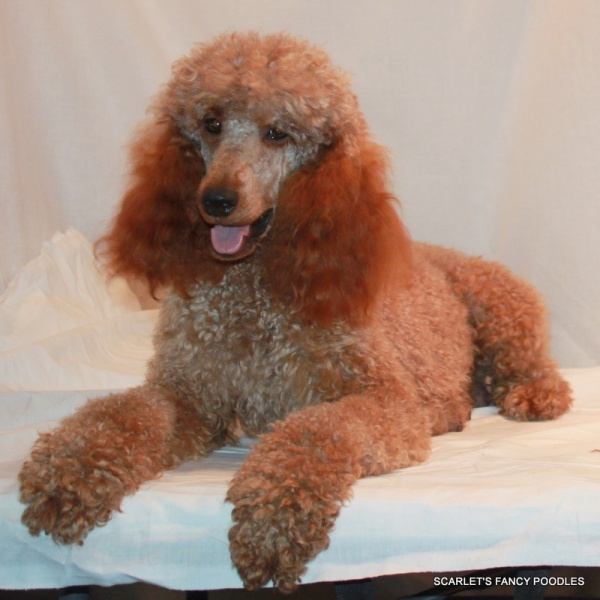 Moyen’s or Klein Pudels have existed in Europe for some time now and they are a recognized size. 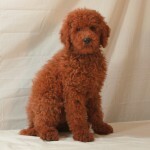 They are between 15 1/2 inches tall from the ground to the top of the shoulder. They can go up to 20″ at the top to the shoulder to fit into this new category. 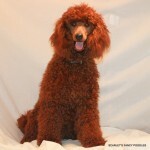 The Moyen is the new size of poodle. 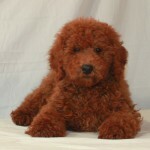 A great size for those who want a bigger dog than a Miniature, but not as big as a Standard Poodle. Moyen’s have the gorgeous leggy look of a Standard, but will weigh somewhere between 18 – 32 lbs when fully grown. 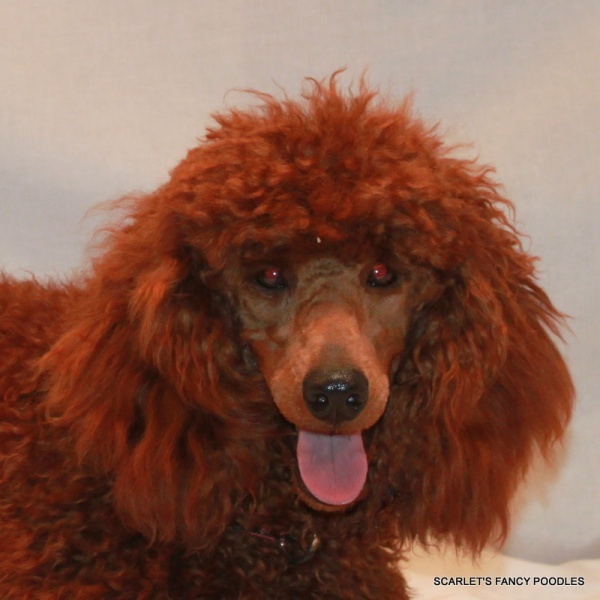 Look for pictures of available Red Moyen Puppies bred here at Scarlet’s Fancy Poodles in June 2014.